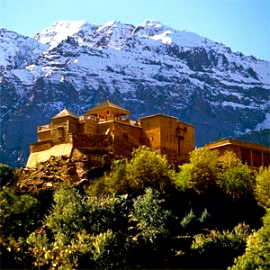 A treasure house of Berber culture created by Patrick Man’ach and Hamid Megrani is the Berber Ecomuseum also referred to as Le Musée Berbère. 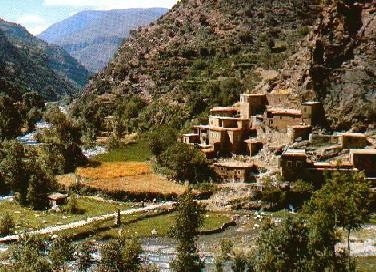 The Berber Ecomuseum, Douar Tafza is located 37 km. from Marrakech just before the Ourika valley. 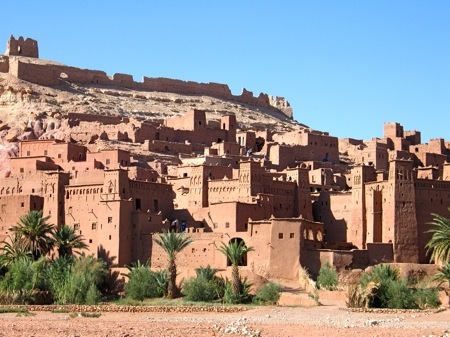 The Berber Ecomuseum is in an old village casbah. 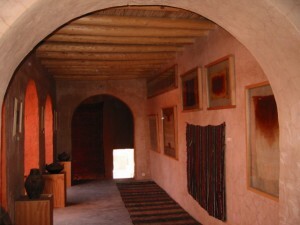 The house was restored by traditional techniques similar to those made in the Ourika valley and in Morocco. 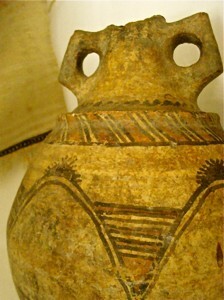 The collection displays Berber artifacts pottery and ceramics carpets and an extensive exhibition of photographs and glass plates of Berber life and customs from the High Atlas in 1926 and Khalid, the charming young man in charge provides a conducted tou and an interpretation of symbolisms… and other aspects of life in the Atlas. 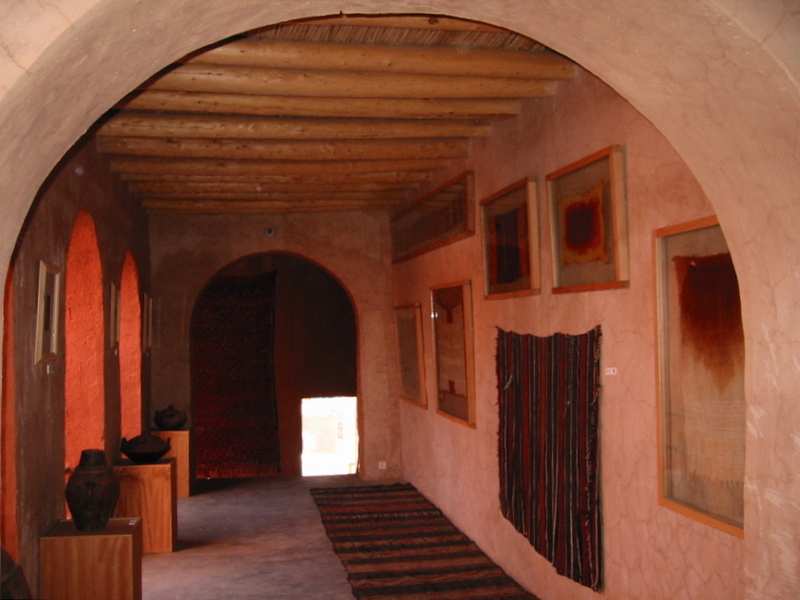 The Berber Ecomuseum is a living part of the village preserving and enhancing its Berber heritage. 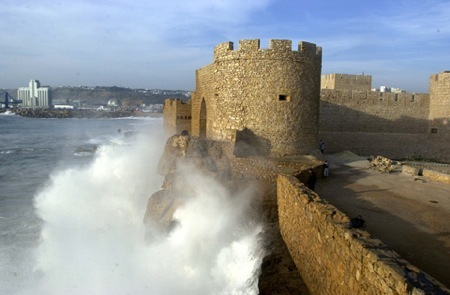 Patrick Man’ach and Hamid Mergani were inspired by the first ecomuseum in France on the Breton Island of Ouessant, which recorded local culture and it gave them the idea for Douar Tafza. As you enter the downstairs yard, you see the food storage system dug deep into the floor where olives, oil and foodstuffs were stored. The walls of the house were rebuilt with the original adobe found in the Ourika valley region and painted in bright pink colors, which change as the sunlight changes through the day. The first floor has beautiful original carpets hanging on the walls. 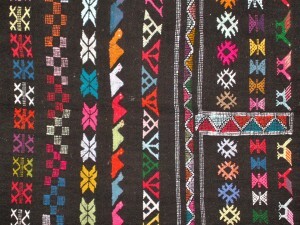 Berber carpets describe the life cycle of marriage, birth and the womb. The house owner’s room for receiving guests is arranged in accurate detail with Berber jewellery and artefacts and by a fantastic process of documentation, the original owner’s photograph is hanging on the wall in what would have been his living quarters. There is also Panoramic terrace looking out on the stunning mountain scenary and the Ourika valley. 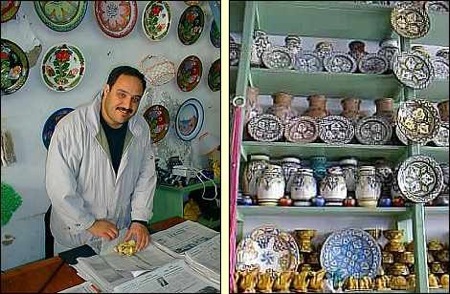 If you stop at the village and ask for Douar Tafza you will be guided to the door. This is a remarkable example of sustainable ecotourism which is bringing life to this village and encouraging communal participation in this visionary project, as they also use Dar Tafza for marriages and celebrations. Enquires about Douar Tafza’s location can be made at the Maison de la Photographie.